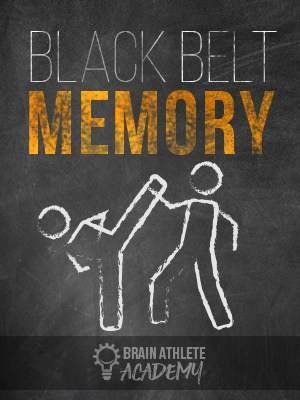 Black Belt Memory is the most comprehensive memory training program on the market today. It is designed by 2 Time USA Memory Champion Ron White. advance you get belt all the way up to black. This course will make you a black belt in memory! grades on the quizzes you are awarded your belt and advance to the next level. (like you see the experts do on tv with cards or numbers), advance in their career or school. Hear 50 Words ONCE And Be Able to Repeat in Exact Order! Not only will you appear like a genius to everyone your confidence will go through the roof with these new skills!